A family holiday can be a terrific experience. Then again, there’s a lot of room for things to go wrong! 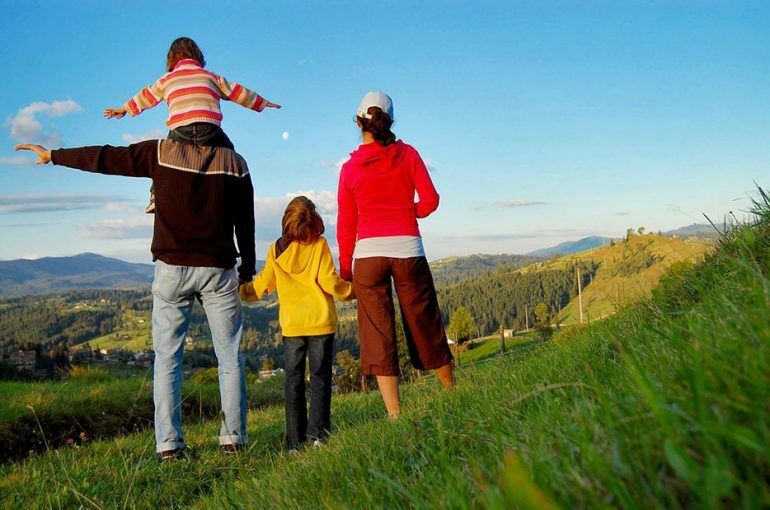 With these tips from travel industry insiders, however, a great family trip is easier to pull off. Keeping the kids happy is one of the biggest challenges on a family trip. The American Society of Travel Agents recommends getting the kids’ input for the trip. If you know where you are going, have the kids research things they want to do and see online. Your children may surprise you with their ideas! Once you’re on holiday, give each child a responsibility. Are they a snap-happy picture-fiend? Make them the official trip photographer. Charge them not only with taking the photos, but compiling the album on their return. Are they good with maps? Make them official navigator. Kids will be proud of the responsibility you delegate to them. Another travel gem is to keep kids informed about the journey in appealing language they understand. Instead of “the plane ride will take four hours”, say “you can watch three movies and they’ll serve ice-cream”. You can also make the journey more exciting by marking milestones in a long journey with treats for kids who sit reasonably quietly. One sweet or small toy every hour, say, can keep them alert and happy. Every time you reach the next town on a long interstate journey, make a playground stop or buy them a fruit juice. National Parks are kid-perfect, and Australia is spoilt for choice. The biggies like Kakadu may seem the best option, but many lesser known parks might be better suited to kids. Parks with caves, historical attractions, or animals are winners. Say “safari” and watch your kids’ faces light up. Africa’s game reserves seethe with lions, cheetahs, giraffes, zebras, rhinos, wildebeest herds, and much more. Look for a safari company that specifically welcomes kids, over one that caters to the gin-and-tonics-at-sundown set. A great one-size-fits-all option for families is a cruise. Today’s mega-liners are mini-cities overflowing with every activity imaginable in a supervised, contained space. Many are designed for families with kids’ programs featuring deck sports, parlour games, story hours, and treasure hunts, with or without the parents. Some ships even have water slides, ice rinks and climbing walls. Family cruises offer shore excursions tailored to kids, too. Of course, the selling point of National Parks, safaris and cruises is that parents like them, too. And that is essential in a family holiday!